FIRST AID KITS: Safety first aid kit are constructed of a steel box coated with durable rust proof enamel. The kit size determines the selection of supplies include for the number of people. Each kit comes with a convenient handle for portable use or the kit can be wall mounted. We stock both 25 & 50 man kits. First Aid Kits comply with OSHA requirements. WINTER LINERS: These flame retardant liner are available in golden canton flannel-cotton twill-knit lining. chin straps & universal size. 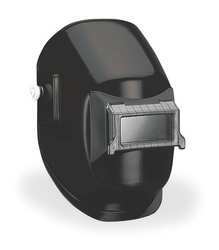 WELDING HELMETS: We carry a full line of welding Helmets. 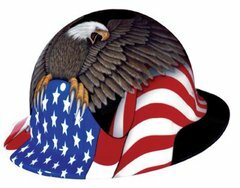 These lightweight streamlined fiberglass and thermoplastic helmets come in a wide variety of models: Hand Held - Flip Top - Curved or Straight Shell. Lens sizes: 2"x 4-1/4", 4-1/2"x 5-1/4". We also stock a complete line of parts. HARD HATS: These hard hats have a highly efficient suspension system. 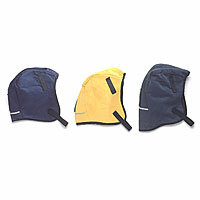 They are lightweight and comfortable, and are available with ratchet headgear in a variety of models & colors. These protective caps meet or exceed ANSI Z.89.1 standards. 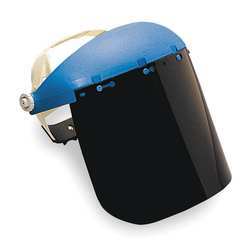 FACE SHIELDS:Face shields have a durable integrated window attachment that are designed to take a punishment . These units are available in many models : Cap Adapters- Cap Shields-Ratchet Headgear Placements Visors Are available in: clear-Dr.green-Md. Green. SAFETY GLASSES: Soft viney glasses fit snuguly and comfortably over the face and over RX Glasses. Transparent frame allows vision in all directions . Direct ventilation is provided by performations in the vinyl frame on top and sides. Available in Clear& Green. 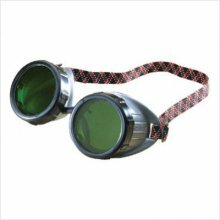 GOGGLES: One piece molded plastic cups are flame resistant. extra depth willl accommodate magifier lenses. They are made of hard plastic material & have a adjustable alastic headbands. Accept shade lends 3 to 6.